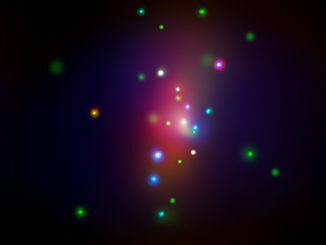 An extraordinarily brilliant point of light seen in a distant galaxy, and dubbed ASASSN-15lh, was thought to be the brightest supernova ever seen. 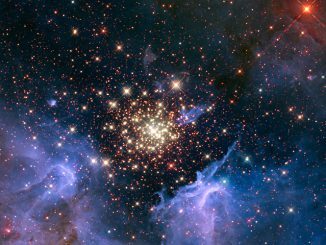 But new observations from several observatories, including ESO and the NASA/ESA Hubble Space Telescope, have now cast doubt on this classification. 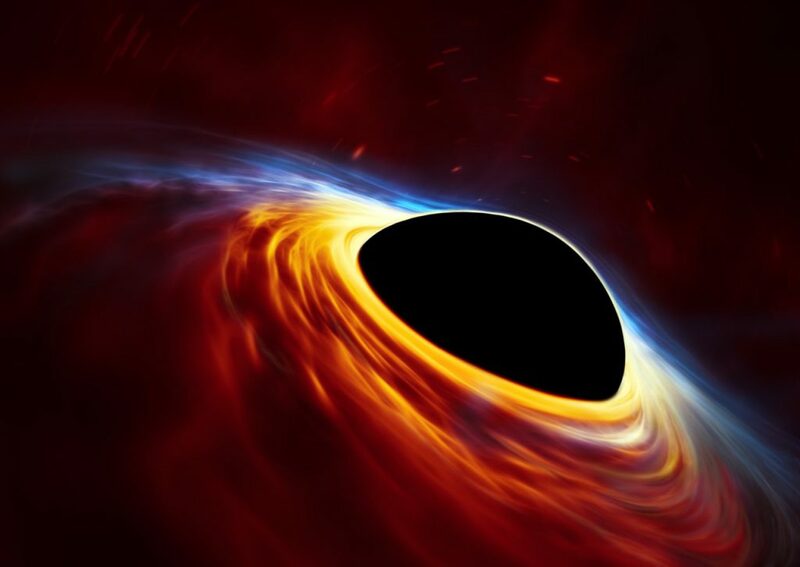 Instead, a group of astronomers propose that the source was an even more extreme and rare event — a rapidly spinning black hole ripping apart a passing star that came too close. In 2015, the All Sky Automated Survey for SuperNovae (ASASSN) detected an event, named ASASSN-15lh, that was recorded as the brightest supernova ever — and categorised as a superluminous supernova, the explosion of an extremely massive star at the end of its life. It was twice as bright as the previous record holder, and at its peak was 20 times brighter than the total light output of the entire Milky Way. In this scenario, the extreme gravitational forces of a supermassive black hole, located in the centre of the host galaxy, ripped apart a Sun-like star that wandered too close — a so-called tidal disruption event, something so far only observed about 10 times. In the process, the star was “spaghettified”, and shocks in the colliding debris as well as heat generated in accretion led to a burst of light. This gave the event the appearance of a very bright supernova explosion, even though the star would not have become a supernova on its own as it did not have enough mass. The team based their new conclusions on observations from a selection of telescopes, both on the ground and in space. Among them was the Very Large Telescope at ESO’s Paranal Observatory, the New Technology Telescope at ESO’s La Silla Observatory and the NASA/ESA Hubble Space Telescope. The observations with the NTT were made as part of the Public ESO Spectroscopic Survey of Transient Objects. This animation shows how the ASASSN-15lh most likely happened. A Sun-like star gets into the area of influence of a rapidly spinning supermassive black hole in the centre of a distant galaxy. While its orbit gets constantly closer to the black hole the star gets “spaghettified”, creating an accretion disc around the supermassive black hole. When it finally gets ripped apart close to the event horizon it creates a bright flash, that could resemble a superluminous supernova. Credit: ESO, ESA/Hubble, M. Kornmesser. 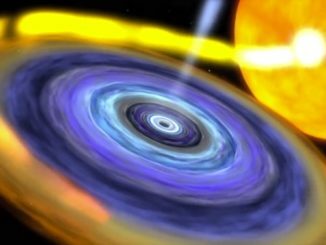 NASA’s Rossi X-ray Timing Explorer, decommissioned in 2012, fell back into the atmosphere and burned up 30 April, finally bringing a remarkably successful mission to study black holes and neutron stars to a fiery end.